Easy House Buyers Need To Sell Your House Fast? We Buy Houses! We Buy Houses Anywhere In McLean And Other Parts of Virginia And At Any Price. Check Out How Our Process Works. We’re Ready To Give You A Fair Offer For Your House. If you want to sell your McLean house… we’re ready to give you a fair all-cash offer. Stop the frustration of your unwanted property. Let us buy your Virginia house now, regardless of condition. Do You Need To Sell Your House in McLean, Virginia? 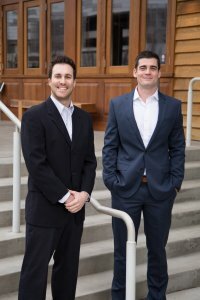 Corey Dutko and Sean Ragen, owners of Easy House Buyers, are ready to buy your house! We can buy your VirginiaNorthern Virginia house. We help property owners just like you, in all kinds of situations. From divorce, foreclosure, death of a family member, burdensome rental property, and all kinds of other situations. We buy houses in Virginia… including McLean and surrounding areas and pay a fair cash price, fast. Sometimes, those who own property simply have lives that are too busy to take the time to do all of things that typically need to be done to prepare a house to sell on the market… if that describes you, just let us know about the property you’d like to be rid of and sell my house fast for cash. I sold my childhood home in a time of uncertainty not sure if it was the right thing to do. I was hesitant and not sure what to expect. They made my son and myself feel like family. They communicated with me every step of the way. They also even paid for additional resources that were needed. I was very impressed with Corey who displayed genuine friendliness and knowledge. I had the feeling that he would make our deal work no matter what – and that proved to be true. There’s not much more a company could do for a seller than what Easy House Buyers already does. They really take care of their customers. I still communicate with Corey once in a while and think he is wonderful to do business with and also a nice person. I would unhesitatingly recommend Easy House Buyers to anyone interested. We have just sold our old house. We really had a great experience with Corey. To be short, Corey is so professional in this field. My husband and I had no complaints during this complicated and stressful house selling process. Corey is on top of everything. Can You Get Your House In McLean Back After Foreclosure?